"A wonderful journey through ideas and reflections, which, as its concluding paragraph aptly says, as we read each short section of this book, “our bodies come into clearer form, our colors more vibrant, and the image beyond our reach, sharper.” This worthwhile transformative literary collection is highly recommended!" The Columbia Review. “Oracles” by Mario Brooks is a work that straddles the line connecting spirituality and philosophy. It is an interconnected collection of concise essays of reflection and insight, as well as poems and vignettes, arranged in an ideal assembly for the busy modern reader’s preference for succinct communications. 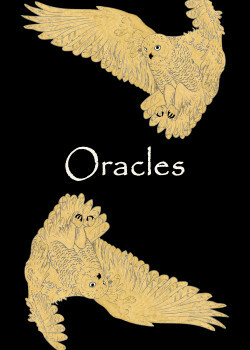 In summary, “Oracles” by Mario Brooks is a wonderful journey through ideas and reflections. In the words of its concluding paragraph, as we read each short section of this book, “our bodies come into clearer form, our colors more vibrant, and the image beyond our reach, sharper.” This worthwhile transformative literary collection is highly recommended!